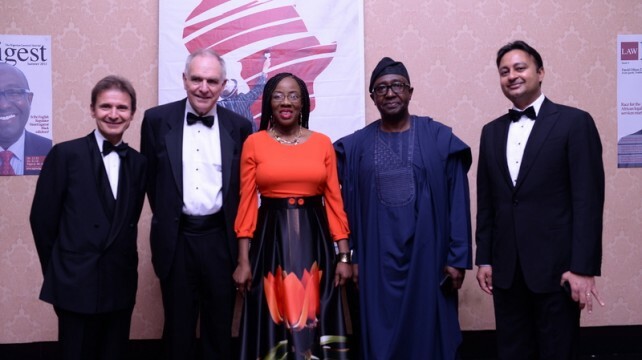 Law Digest Africa Awards recognise Managing Partners, firms, General Counsels and in-house team of African firms and companies who have made outstanding contributions to the development of the African legal services market and the economy generally. We recognise that as Africa’s economies grow and diversify, lawyers will be presented with both opportunities and challenges as they seek to guide their clients and support their organisations with sound legal advice. The Post Conference and Award Dinner is sponsored by Stephenson Harwood LLP for awards nominees and invited guests. This is a not-to-be missed networking event for legal professionals across Africa. Past winners include, Aluko & Oyebode, Bowman Gilfillan, AB & David, Templars, G. Elias & Co, Oando plc, to mention but a few. The Awards will bring the continent’s legal community together for a glittering awards ceremony on the 24th November 2017 in Lagos, Nigeria at the Lagos Oriental Hotal. For more information on table bookings, sponsorship, nominations, please contact us at editor@nglawdigest.com.